My dissertation asks what explains the uneven effects of collectivization and why the practice became so lethal. In answering these questions, I focus on collectivization during the Khmer Rouge regime in Cambodia from 1975 - 1979. The Khmer Rouge sought to destroy preexisting social order and fundamentally remake the state. This was done through the implementation of village cooperatives, which included reorganizing traditional social order through the destruction of the family, as a means to transform everyday life into cooperative production. As a result, there was famine that caused excess mortality, unnecessary suffering, and imprinted a generation with the physical and psychological effects of the conflict. I argue that the uneven levels of collectivization can be explained by the ways that authority was delegated to local administrators, while the destruction of social institutions, through the practice of forced marriage and group living, decreased the likelihood of population survival. I break down collectivization into practices pertaining to living, eating, and working cooperatively, to capture the ways that these policies were put in place, where they changed over time, and why they persisted despite deaths from famine. This dissertation puts forward an organizational approach to revolutionary governance and an original measure of collectivization to explain the relationship between state organization, local governance, and mass deaths during periods of revolution. This paper addresses the use of forced marriages by the Khmer Rouge as a part of the collectivization process during the Cambodian Genocide. Through this case, I show that forced marriage, while a form of sexual violence, was used as a tool of social control following a strategic logic like those employed with other types of coercive violence. Forced marriage was a unique tool of sexual violence – unlike other wartime practices of sexual violence, these marriages were meant to be permanent. Both parties were civilians coerced into matches by state agents and enforced by armed militia members who monitored the couples’ behavior. I find that the policy of forced marriage was ideologically derived and made thinkable through the regime’s ideology; however, I demonstrate that the variation in its implementation responded to a strategic logic where there were economic or security priorities. Through this case study, I present a logic of revolutionary governance and demonstrate that the content of ideology matters not only for whether a regime engages in sexual violence, but how it does so. 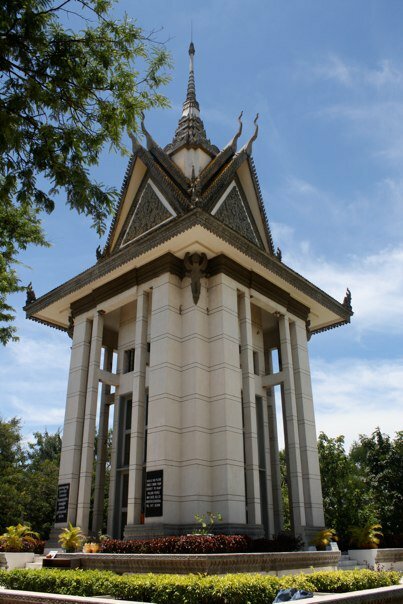 This paper addresses the role of transitional justice mechanisms in Southeast Asia through an analysis of the Extraordinary Chambers in the Courts of the Cambodia (ECCC) and its approach to prosecuting sexual violence and cultural destruction. I ask why a dominant victimhood narrative was constructed and put forward in support of the legal case against the Khmer Rouge leaders, and how it constrains contemporary gender roles in Cambodian society. I find that the emphasis in the ECCC’s caseload on forced marriage as a cultural shift and exclusion other acts of Sexual and Gender Based Violence has critical implications for the acceptance of domestic or gender-based violence as a crime in contemporary society. I argue it has created a divide between private and public violence, the public form being the more legitimate or justiciable. Further, I contend that the limited prosecution and slow pace of justice has implications for domestic violence in contemporary society.